Well I’m so glad you asked but first let’s define what an obstacle is. I view an obstacle as anything that prohibits you from moving forward, anything that keeps you from achieving a goal, fulfilling a dream or ultimately getting what you want. 1. External Obstacles–These are obstacles outside of your control such as the economy, natural disasters (hurricanes, tornados, tsunamis, etc. ), physical limitations, and the political climate. They are things that happen out of your control yet can affect you in a major way. 2. Internal Obstacles–These obstacles are generally one-time issues but you have direct control over them, such as earning ability, time availability, the perception of time and other resources, needed skills or talent. 3. 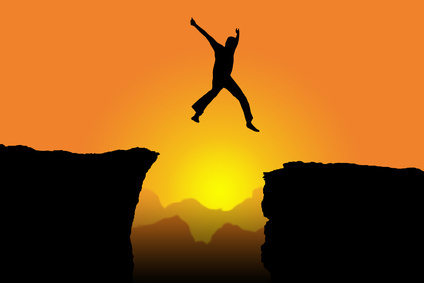 Habitual Obstacles–These obstacles reflect how people get in their own way. The habits and rituals that we do on a consistent basis, whether consciously or subconsciously that truly affect our progression in so many areas. 3. FOCUS- this is indeed a powerful concept and one that will serve you beyond your wildest dreams when implemented correctly! Getting Focused allows you to zero in on the issue, properly assess it, and make and implement a plan that works. I love this acronym for FOCUS as its really changed my life over the years: Follow One Course Until Successful. When it comes to annihilating obstacles don’t be all over the place, try one solution at a time and the correct one will indeed stick! 4. Think out the Box/Get Creative- I know this may sound odd or contradictory since I said that there’s nothing new under the sun, But I meant it. There are no new problems, however there are many new solutions, so this is the step where you have the opportunity to open the flood gates of your expression and experience to try new things to solve old problems. Creativity is Key. So that’s my cliff’s note version of how to become a true Double-O (Obstacle Obliterator) But I encourage you TO CLICK HERE FOR A RADIO INTERVIEW VERSION that is sure to provide you with additional insights and distinctions. –> So what now? Go forth and dominate! Here’s your homework, look at 1 or 2 obstacles that are holding you back right now, then look at 1 or more of the above strategies tactics and tell me in the comment section below how you plan to overcome them! Let’s go! Let’s Win! !